2) The website’s analytics data shows that the vast majority of traffic originates from outside Wales. In general, people who live outside Wales do not speak Welsh (because Welsh is only spoken in Wales, and by less than 20% of the population at that). 3) The research available on Visit Wales and Visit Britain indicates that among the list of reasons that tourists come to Wales are the castles and the outdoor activities. So that they may be forced to read websites that they do not understand does not feature on the list at all. 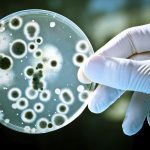 4) That same research indicates that the vast majority of visitors come from either England, Ireland, Scotland, Australia, the USA, France or Germany. None of these countries speak Welsh, but five of them speak English as a first language and the other two speak it as a second. 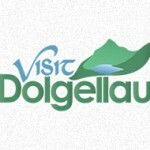 5) Given that the vast majority of people who visit Wales do not speak Welsh, forcing potential visitors to learn the language before they can find out about Dolgellau and the surrounding area is not conducive to a welcoming environment and is likely to have a detrimental impact on tourism. This is the opposite of what the site aims to achieve. 6) Automated translation is not an acceptable alternative for English-speaking visitors because, as shown in point 4, they are by far the site’s primary target audience. Instead, automated translation serves as a “better than nothing” option for those who wish to use the site in a language that is used by the minority, and bearing in mind points 1, 2 and 4, this is where Welsh sits in this instance. 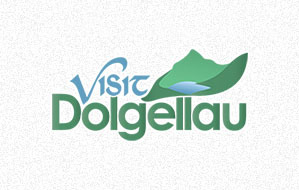 7) If the site was called “Living in Dolgellau” and was aimed at locals then a bilingual website would make sense; the site however is called “Visit Dolgellau” and is aimed at visitors. The clue is in the name really. 8) I’m one guy, running and maintaining the website alongside a full-time job. I don’t have time to duplicate everything in any language, least of all one that fewer than 1% of the website’s users understand. If I did have time to duplicate everything in another language at all, then, based on point 4, French or German would make more sense. 9) If you really want to see a website promoting North Wales as a tourist destination for the people who already live here, then why not set up your own instead of writing to me to complain about mine? Alternatively, if you really want to see Welsh content on Visit Dolgellau and you have time to write content that only a fraction of the site’s users will be able to understand, you’re welcome to be a contributor – just get in touch and we’ll sort it out.